"When a line is drawn through the "I" it becomes the symbol of the cross; what is crucified is the ego. Then the divine nature manifests without restriction." Only present moment awareness brings pure happiness and God's presence. When we serve others lovingly we are totally in the present moment, because we are pulled out of our ego and chronic self involvement. Notice when you serve how happy you and the other person feels. God is happy too with you. That's why all the great mystics and Sai Avatar encourage us to "Love all, Serve All" (Sathya Sai Baba). It's curious to note how this very action that brings us nearer to the divine presence and anchors us in the present moment we tend to resist: "Oh, I don't have time", or "it takes too much energy to do". 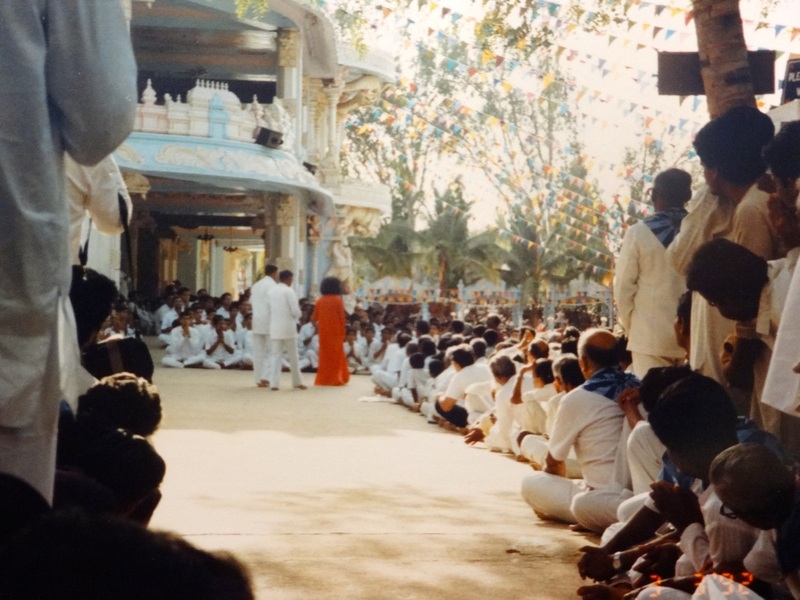 Do Gayatri chanting walks around your neighborhood. Or chant other divine names.